This Policy determines our responsibility as Sincere Property Services, the owner and provider of this Website, to you, the User of this Website in respect to how we collect, use and store any Data from you. 2. “Cookie” refers to a small text file placed on your computer by Sincere Property Services when you visit this Website. o Other information to assist with our customer surveys and/or offers we run. o Your activity on this Web Site. 1. 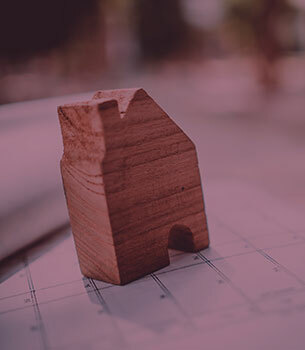 Any Data you submit will be retained by Sincere Property Services for as long as you use our Services, or until such time as you tell us to remove your details from our database. 2. The personal information you provide helps us to better understand your needs and provide you with a tailored service. o Occasionally conduct market research to improve our Website to better suit User needs and interests. 4. Sincere Property Services does not share any personal Data with third parties. 1. Wherever you are required or invited to submit Data to us, you will be given the option to restrict our use of that Data. So, for example, you may tell us you do not want to be stored on our Database for future direct marketing purposes. o Email us at info@sincerepropertyservices.co.uk stating you wish your details to be removed. 4. Among other things, cookies tell us the most popular pages on our Website. The information helps us to improve our Content and Services, and tailor your User experience online. 5. Cookies cannot be used to identify you. Data gathered by cookies tell us about User online behaviour, but all Users remain anonymous. 1. From time-to-time, Sincere Property Services may employ the services of third parties to assist with matters that may include, but are not limited to, payment handling, search engine facilities, advertising and marketing. 2. These service providers will have access to certain personal Data provided by Users of this Website. 3. Any Data used by such parties is used only to the extent required by them to perform the services that Sincere Property Services requests. Any use for other purposes is strictly prohibited. 4. Any Data that is processed by third parties must be processed within the terms of this Policy and in accordance with the Data Protection Act 1998. 1. Where appropriate, the Website contains links to other websites of interest. However, Sincere Property Services has no control over these external sites, their content or policies, nor is it responsible for your experience on these sites. 2. External sites fall outside this Policy statement, even if this Website links to them. 1. Sincere Property Services attaches great importance to keeping your Data safe and secure. 2. All personal Data is stored securely in accordance with the principles of the Data Protection Act 1998. 3. In line with this, we have put in place robust physical, electronic and managerial measures and procedures to safeguard the Data we collect online. However it should be noted that no system is 100% secure. 2. Any changes will be posted on this section of the Website and the date of the latest Update posted below. 3. Users are advised to check this section regularly, and you are deemed to have accepted the terms of the Policy on your first use of the Website following any amendments we make.